The way I was exposed to James X Scott is about as random as it gets. Perusing Twitter late night, I found a comment among many under a popular tweet. I guess it caught my eye. Now, I’ve received all sorts of indie music solicitations. Will be the first to admit it can be frustrating and at times annoying. But there was something in this gent’s tone that drew me in, so I gave a look. And glad I did, as I happened to uncover a unique underground artist from the Bronx not too far up the road from my Harlem apartment. 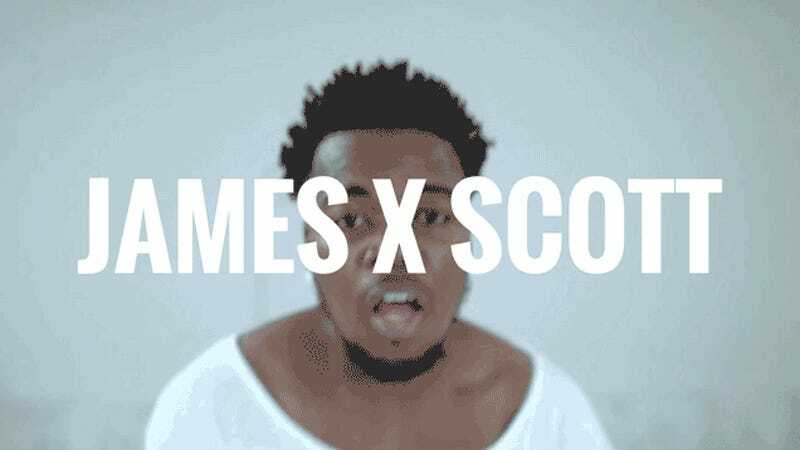 James is an up-and-comer from a New York City borough that, as of late, has been buried under music hype from other neighborhoods in Brooklyn and Manhattan. A cultural melting pot not primarily known for it’s indie music scene, it was exciting to find a new artist hailing from the BX - the area that has birthed the likes of Gil Scot Heron, Big Pun, Carly Simon, and Slick Rick. An easy going and introspective soul, I met James about 10 days after a tragedy in his life. One of his closest friends, who he refers to as Cloud Princess in a few tracks, had suddenly passed away. Wearing a pin on his military green poncho jacket in memoriam, James spoke philosophically about life, death, and the importance of holding loved ones in your heart when they are here in flesh, as well as in spirit when they have moved on from this earth. For reference, our entire conversation can be found at The Whyte Whale podcast. “Big Oak Tree” is the track that first drew me to James. Being a Coldplay enthusiast, it was immensely gratifying to hear “Magic” sampled and taken to new places. Once his vocals dropped, a sound that rings similar to the likes of Frank Ocean and James Fauntleroy, I knew I wanted to know more about the other side of the headphones. “Run” is his latest project, off of the forest. EP which has yet to be officially released. A short video has been made for the track, which is approaching a modest 2k listens on Soundcloud. The video showcases his comfort in front of a camera as a lead man in visuals, further proving multi-faceted talent. James’s creative mind has so far lead him to create attention grabbing music, visuals, and choreographed performances of his artistic vision. I personally have not been able to make one of his gigs yet, but he’s ramping up appearances, showcasing at small festivals and venues around the tri-state area. You can follow & keep up with the underground artist on Twitter & Instagram. He’s without doubt one of the good guys.